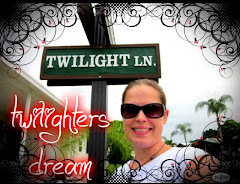 My journey with the Twilight Saga started shortly after the Twilight movie came out on DVD. I had heard of the movie but did not know anything about it and did not know anyone who had seen it. Me, being the movie buff that I am watched the trailer and just freaked out. I said, “WHY HAVEN’T I SEEN THIS ALREADY?” I went out, rented the movie and watched it right away. I was glued to the TV and completely fell in love with the characters. While watching the movie I discovered that it was based on a book. I went out to the store the next day and bought the first book. 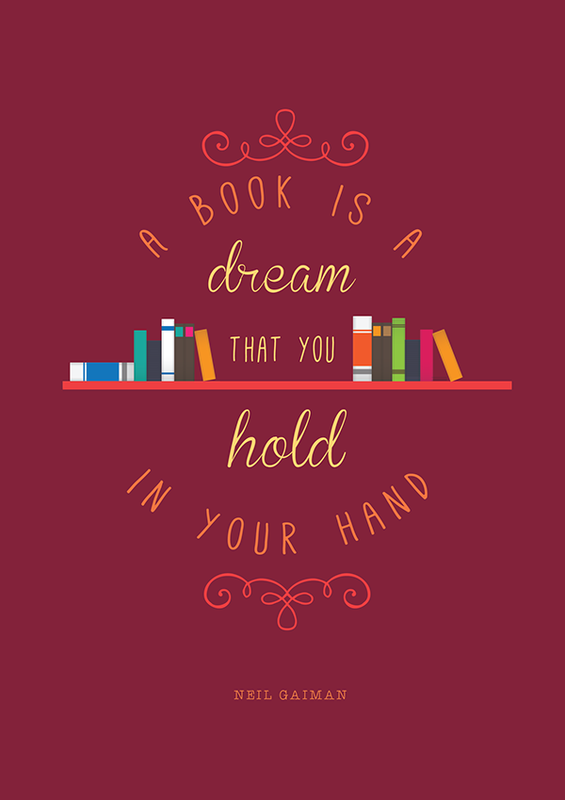 I flew through it and then bought New Moon, Eclipse and Breaking Dawn. 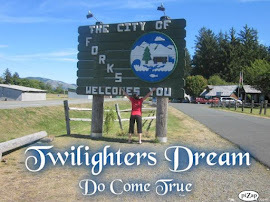 I was totally bitten and smitten with Edward Cullen and his relationship with Bella Swan. 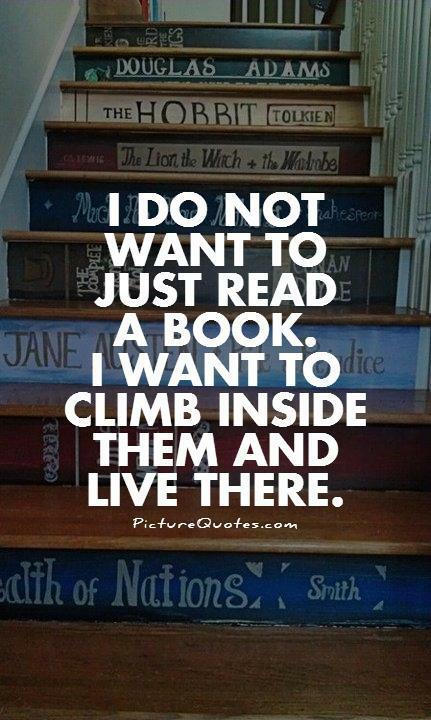 After seeing the first movie I started following a couple fan sites online for more information and to be connected with and talk to others about the books and characters. 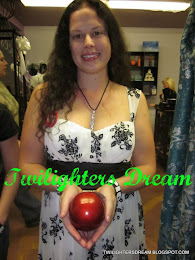 I went to my first midnight premiere when New Moon came out in theaters. Even though New Moon is my least favorite of the books and movies (mainly because Edward leaves...) I became even more in love with these characters after seeing them on the big screen. 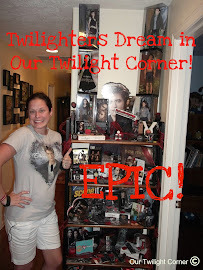 There is just something about being in a theater with other Twilighters and watching the movie that is so electrifying and exciting. 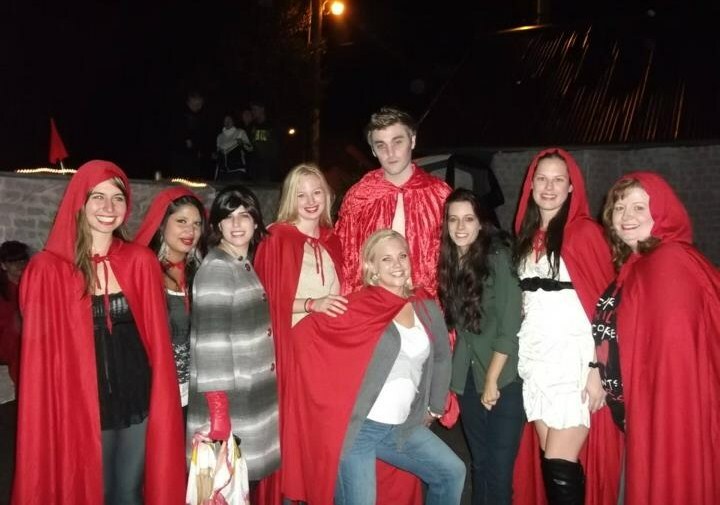 In the time between the release of New Moon and Eclipse I decided to host my first Twilight Party. I started planning and coming up with ideas on how I could bring the Saga to life in my house. 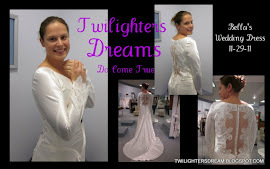 I wanted to host a fun evening and invite those close to me who also shared my love for Twilight. On August 28, 2010 I hosted my party and what an EPIC night it was! As I grew more and more attached to the Saga I joined more fan sites. 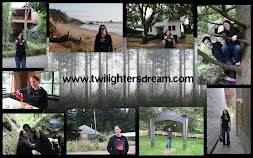 It was through one of those fan sites that I saw a video that some other Twilighters had made. It’s called “Edward Cullen!! Your love is my drug” and was made by the ladies of Our Twilight Corner. I absolutely loved the video and was so impressed that they visited the actual movie filming locations. I started following their Facebook page and interacting with their head admin Lynn. Meeting Lynn and the experiences that we have shared over these past two years are by far the most memorable that I have had throughout this entire journey. 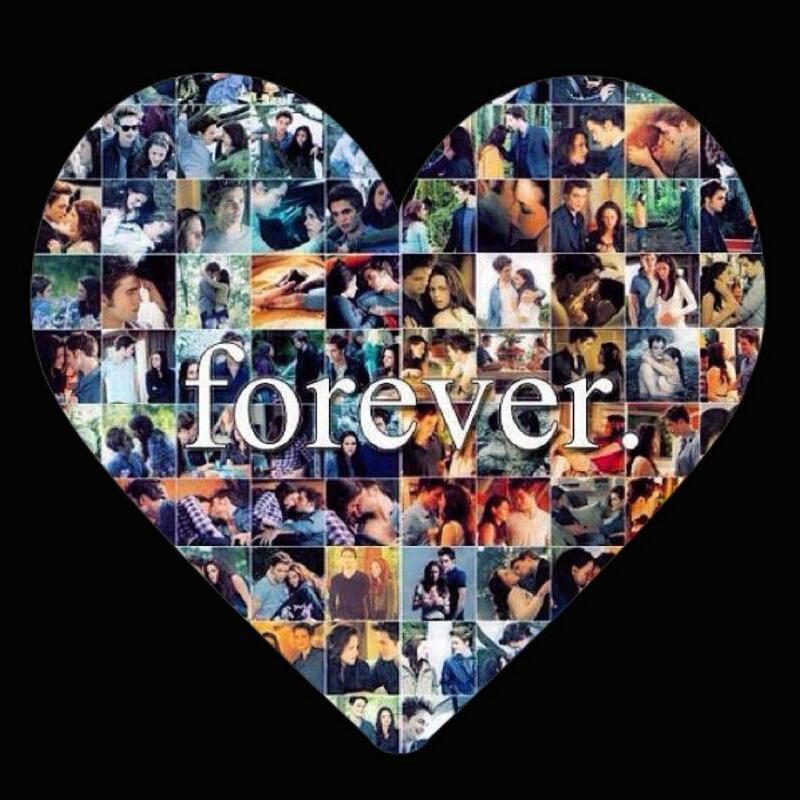 The Twilight Saga and Stephenie Meyer have brought so many great people together through the story of these beloved characters. We have made lasting friendships that we will cherish always. We have created unforgettable memories that will always bring us joy. And I have done so much because of. I would not traveled across country for the first time to the Pacific Northwest and met the ladies from Our Twilight Corner especially Lynn who I can connect with on a level like no one else. She truly is the best TWI-BFF any Twilighter could ever ask for. 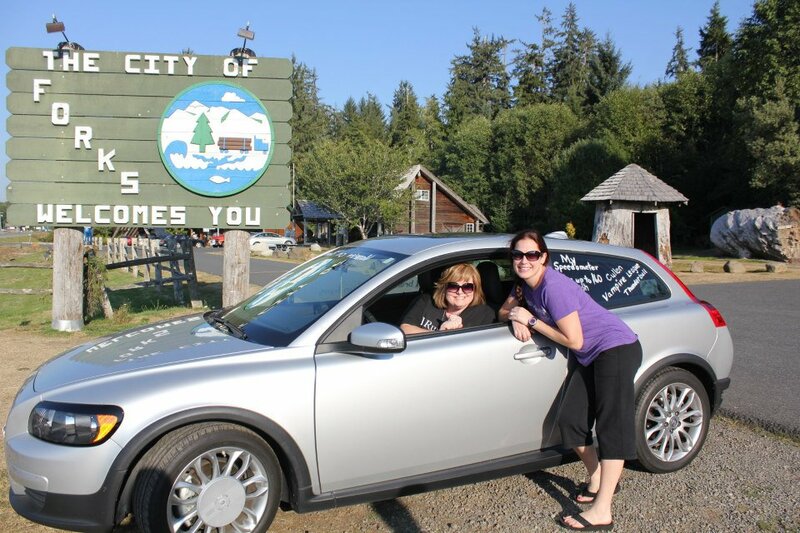 Lynn and I in Forks, WA with Edward's Volvo! 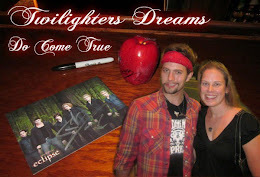 I also would not have had the opportunity to experience some of the things that I have and that most Twilighters dream of. 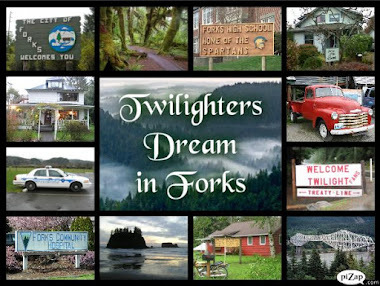 I have been to Forks, WA where the books are based on. I have been to numerous of the movie filming locations and visited the places and stood in the same spots and hung in the same trees where the magic is and was created. I just want to say a huge thank you from the bottom of my heart to everyone who was involved in The Twilight Saga especially Stephenie Meyer. This journey over the last five years has been amazing. I will truly cherish all of my memories forever. To all Twilighters, just because the movies are complete does not mean the magic is gone. 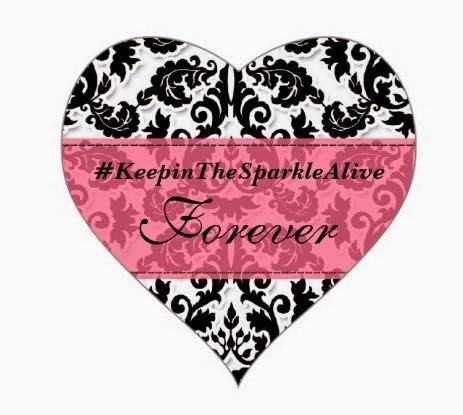 It will live on FOREVER through us so always keep the sparkle alive and remember that Twilighters Dreams do come true so keep dreaming! You never know what will happen or where you will go. 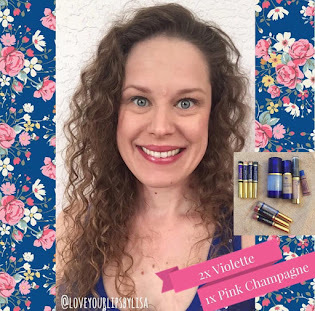 Please feel free to share your journey or comments below.